Below are my recommendations for fantastic trainers, coaches, fitness classes, blogs and books. Greg Sher kills fat! He is an awesome vegan trainer in NYC. Make sure you download his free e-book. It's amazing! Barefoot Tiger is owned by the lovely Kendra Fitzgerald. Her teachers will bring yoga to you at home, or you can take a class at the new studio near Bryant Park. The Sweat Party is one of my favorite ways to stay in shape while having loads of fun! Half intense fitness, half dance (think Janet Jackson, Justin Timberlake, Soca and Hip Hop) classes take place on 14th street at Body Space Fitness every Wednesday, Friday and Saturday. Marhi Relin's Body Conceptions is one of the funnest workouts I've ever done! In the class, high energy dance cardio meets challenging toning, and the music keeps you moving. Body Space Fitness is a gorgeous private gym located near Union Square. They also offer great small group classes, and they're the home of The Sweat Party. Want a comprehensive medical approach to weight loss with menu plans? 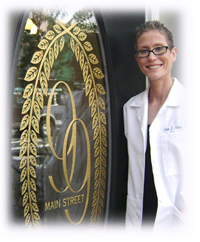 Contact the lovely Dr. Lisa Heuer in Nyack, NY. Nikki Yarnell has magic hands! 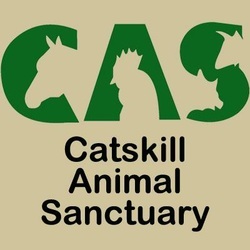 Catskill Animal Sanctuary. This fabulous animal sanctuary is located just 2 hours north of NYC! CAS rescues horses and a wide variety of farm animals from neglect and abuse. Make sure to take my cooking class at the sanctuary this summer! Details coming soon! Imagine having a greenhouse as a classroom! 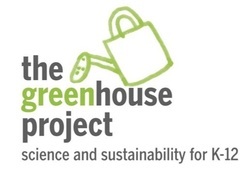 The goal of the Greenhouse Project of NY Sun Works, is to build functional greenhouses on the rooftops of NYC public schools. These greenhouses serve as stimulating classrooms for students; bringing them closer to nature and sustainability! I'm on the fundraising committee. I think Vaute Couture is very very cool! Shopping for cruelty-free shoes and accessories was hard. Then came Compassion Couture! The ladies behind Compassion Couture do a great job curating this online retailer. I'm crazy about the Cornelia Guest bags! The Queen of Manifestation, Jen Mazer, really knows how to help you make your dreams your reality! My all time favorite food blog by Sarah B. of Copenhagen. Expect amazing and creative vegetarian recipes, lots of charming personality, gorgeous photos and digestible nutrition info. I use this website to find vegan recipe inspiration from bloggers all over the world wide web. Clean Plates is the ultimate guide to healthy eating in New York and Los Angeles! Pick up the books, check out the website and subscribe to their mailing list. This publication isn't totally vegan, but it's a great resource for when you're looking for the perfect restaurant to suit all diets. 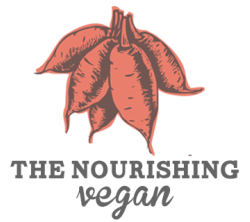 Visit this website for your daily dose of vegan cool! I love the recipes by vegan chef extraordinaire Ayinde Howell, and the "Lusty Vegan" column. The mission behind the Meatless Monday campaign is pure and simple. To encourage Americans to lessen their consumption of animal products, thus reducing their risk of chronic preventable diseases, and lowering their carbon footprint. I head to Meatless Monday when I'm looking for quick inspiration for my weekly client menus. This fantastic nutrition book, originally written in the 80s, provides a clear understanding of what a balanced diet looks like. The focus is on macrobiotic cooking, and you'll find fun tips and recipes to implement into your lifestyle no matter your diet. This is an inspirational book for those of us who want to live fully vegan! Normal, everyday people can be vegan, and Victoria Moran will show you how! A plant-based diet is the diet of the future. Not only is it better for your health, but also for the survival of the planet! In this book John Robbins shows us why plant-based is the diet for a new & improved America! My Freston breaks it down in this book about what it means to be vegan on every level. So good! A vegan diet isn't just about avoiding animal products. It's deepened and enhanced when it becomes a Nutritarian diet. That's a word coined by Dr. Furhman meaning your getting the most nutritional bang for your bite! Side effects of eating & living this way include healthy weight, protection from disease, improved energy, better sleep, pleasant mood, and more! p.s. It's easy to do! Join the 30-Day Vegan Challenge to make it your lifestyle!